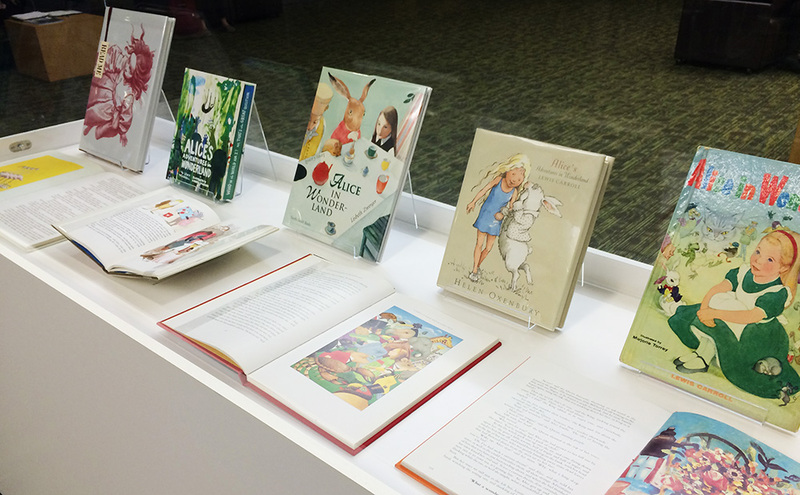 Since 1865, this beloved book’s appeal through the years has inspired illustrated editions of Alice’s Adventures in Wonderland and Through the Looking-Glass, and What Alice Found There, as well as countless other artworks. 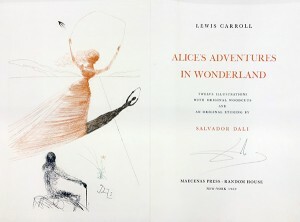 Highlights from the exhibition, curated by children’s librarian and Master’s student Kristy Woodcock, include Salvador Dalí’s original woodcut remarques from 1969 and a nineteenth century facsimile of Lewis Carroll’s original manuscript. Carroll’s classic tale comes to life in this visual journey that is not to be missed. Join us for this free exhibition open to the public in the Irving K. Barber Learning Centre, located in both Rare Books and Special Collections (Level 1) and in the main foyer (Level 2). The exhibition is on display until October 31. For more information, including hours of operation, please visit Rare Books and Special Collections or contact them at (604) 822-2521 or at rare.books@ubc.ca.